On average, most restaurant kitchens make the most investments in the cooking suite. A cooking suite is the center of their operations; thus, they have to carefully choose the kind of suite, its specifications, and its longevity. This is why manufacturers are taking their products to the next level by ensuring that the cooking suites they manufacture can blend both the traditional and modern methods of cooking while incorporating aesthetics and designs that suit the buyers. Shaune Hall, a Falcon Foodservice Equipment’s product development chef, argues that buyers focus on the latest trends in food when buying. In the past one year, there have been many changes, but a few themes are showing the direction that the market is taking. According to Ian Clow, a sales director at Charvet, buyers focus on the returns on investment in a cooking suite, especially Brexit, and the rate at which interest increases before they buy a cooking suite. Ian says that manufacturers are under much pressure to make small prime cookers with significant firepower. Ian says that the Induction Multizone is one of Charvet’s multi-purpose heavy duty cooker that is in high demand. He adds that it works in the same way as the great solid top. Also, it has pan and induction detectors that make it the right choice for everyday operations. Steve Wooldridge of Electrolux Professional says that the first thing that comes to his mind about key trends in the food industry is induction. He says that the major thing chefs want is power and control. These are the reasons why the popularity of gas has been at the top for many years. However, lately, manufacturers are making cooking suites with induction technology that feels the same as gas. The idea is that instead of going to the kitchen to boil water by turning on the stovetops, salamander, an oven, you can boil water in about 20 seconds while controlling its temperature to 1°C. There is documentation on the advantages of modern induction. In fact, advocates insist that it be at least 90% more reliable than gas with a quicker cooking speed and reaction time. Steve says that induction technology is growing at a breakneck rate. This means that induction costs are reducing, so more people are now aware of those benefits. Mark Reid, the operations manager at Nayati, says that the demand for bespoke kitchen blocks has gone up within the past 12 months. He says that this rise is the result of the rising squeeze in kitchen footprints as well as the requirement for operators to see to it that they have cooking equipment that is both easy to use and reliable. Mark adds that you can supply many different appliances within a block footprint. He says that although the bespoke blocks may look large, they are precisely what small kitchens need because they can offer complete solutions. This year, many manufacturers will be launching new products. For example, Nayati will be releasing Meritus series to build on the success it has been having for the past three years. This company has listened to the reviews of its customers to come up with the right product for them. The appliance will have many new and improved features. Mark Reid says that because of this, they are confident that their clients will receive the new product well. Space occupied by the cooking equipment will remain a buying factor. 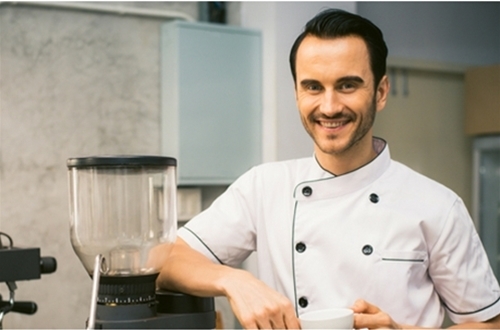 Chefs want small cooking suites with higher productivity. Chefs are working closely with manufacturers to ensure that they get cooking suites that have a good combination of ergonomics, energy efficiency and space-saving properties. Director Steve Morris of Jestic, which is the distributor of Rosinox suites within the United Kingdom, says that the trend of incorporating Asian cooking ways in major restaurants is still there. Therefore, he says that in 2018, chefs will continue to be innovative in using Asian recipes. He continues to say that consumers will continue to focus on fresh and quality ingredients as well as menus that offer nutritious and healthy meals. According to Falcon’s Hall, cooking equipment buyers will continue to look for high quality, durable and highly performing suites. They will also lean towards cooking suites that are user-friendly. The increase in cooking at front-of-house and theatre kitchens means that aesthetics will always be a crucial buying factor. Halls says that this is why their cookline F900 is a great choice. It has both hygiene benefits and the looks that any fully functional modern suite should have. Hall adds that this F900 is important because, in addition to looking great, it makes life easy for those using it. It is easy to access it for service, cleaning and maintenance. The advocates of cooking units that are more energy efficient now want “smart” suites that will be a part of the entire building management energy consumption system. For example, the Mareno IChef range has configurations that enable it to work with building management systems, and this year, it won an award called the Smart Label at Host. The well designed IChef appliance comes with a unique system that is specially made to control every one of its multiple purposes. It has a bright touchscreen display panel that is always legible no matter the lighting conditions. This means that anyone inside the kitchen, regardless of their position, can have total control of every operative setting. The old gadgets that used knobs are no longer efficient. Steve Hobbs, a director at Grande Cuisine, say that there are new ergonomic designs to facilitate cleaning and cooking inside the kitchen. Many chefs are now taking their time to check whether they are using their appliances in the best ways possible. This means that in future, the design of these appliances will greatly change. 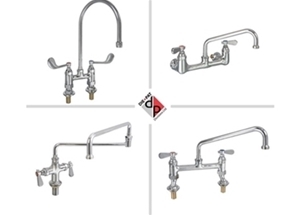 Chefs want to replace a few pieces of their appliance with one that has multi-functional properties. This idea is also supported by John Stewart, the sales manager at Hobart Cooking Solutions. That way, the equipment use less space to do more. Trevor Burke, the M.D. at Exclusive Ranges, says that this year, people will be looking for more manageable cooking solutions by analysing a cooking suite’s lifetime costs. Chefs want to have the ability to closely manage their processes of cooking. They want kitchen equipment with both time and temperature settings. Buyers will be looking at the quality of the product and whether it gives them value for money. Trevor Burke, the M.D. 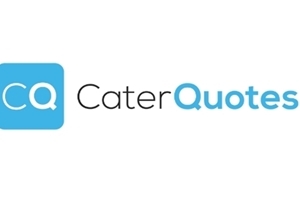 at Exclusive Ranges says that the changes you already see in the cooking unit market, that is, more interest and higher capital spending in a cooker’s lifetime cost will make a move into the central market. Even casual dining operators are investing in higher quality units because they know the importance of having appliances with built-in adaptability and better build cost have. Trevor says that as technology changes and improves, so will the cooking units. Their energy management and programmability features will improve. The service management standards will also increase as the ability to perform remote diagnostics improves. Burke predicts that as with the development of the bespoke appliances that begun 25 years ago, the increased value will ultimately be the result of the high-end side of the market. Steve Hobbs of Grande Cuisine says that chefs will be considering appliances that can do different jobs during different times of the day. Primarily, the equipment will be designed to do one job, say in the morning, and a different job later in the day. 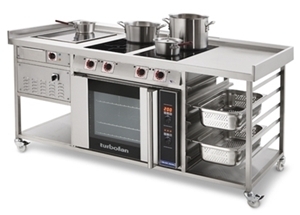 More chefs are buying cooking units like Equapan and Bonnet Precipan, which can perform multiple cooking roles. The market of food-to-go is growing fast, and this is the perfect opportunity for compact multi-functional units to make it big. A busy kitchen can buy the Equapan, Minijet combi, and Bonnet Precipan to use at the front-of-house to ease pressure inside. This will enable processes to run in a smoother way and ensure that staff members are moving freely and quickly when serving customers. This will, in turn, increase their turnover. The food industry is going places. Chefs will be able to do more in less time. They will have kitchen equipment that can meet all their needs in one package. The new trends in cooking units are not only keeping up with the fast-changing and improving technology, but they are also keeping up with the needs of eaters. With the new trends, chefs will be able to serve more customers in a short time. This will mean higher profits for them.